Scientists have developed a bandage that can clot a bullet wound in one minute or less. The magic ingredient? Ground shrimp shells and vinegar, a concoction that has been found to clot blood instantly. The key ingredient in the shrimp shells is called chitosan. 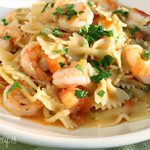 Share the post "Clotting Battlefield Wounds with Shrimp"